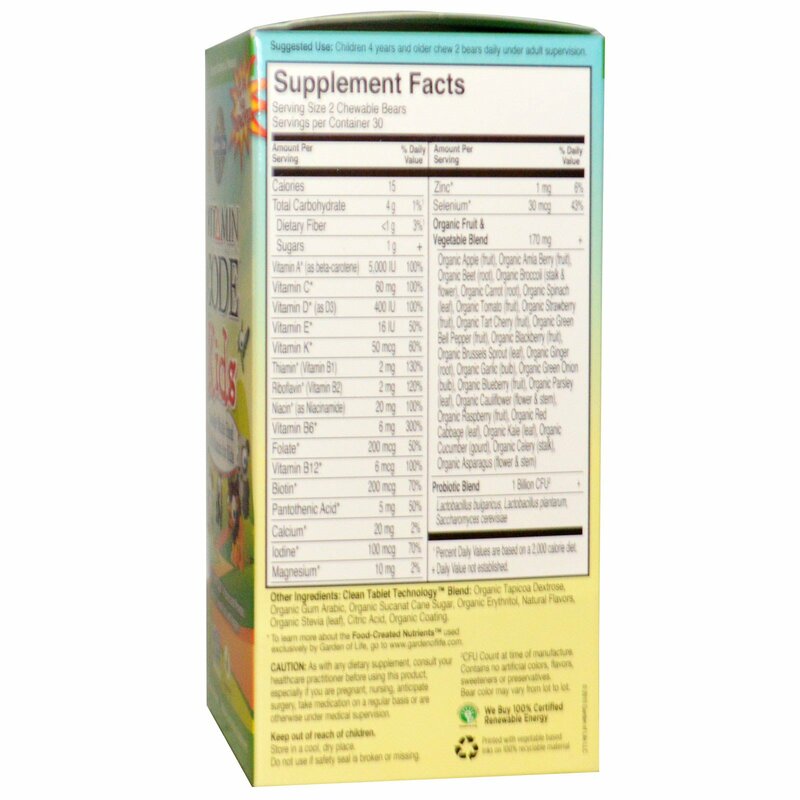 Clean whole food ingredients gently blended, never heated into a base of organically grown fruits and vegetables. No artificial flavors, sweeteners or additives. 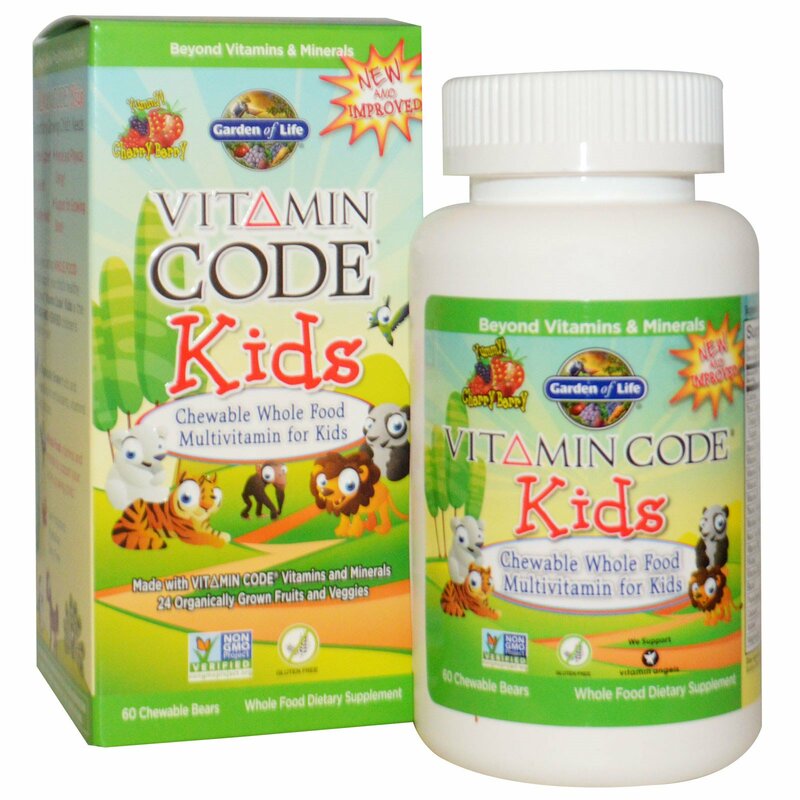 Finally, a great tasting whole food multi that supports your child's healthy development! 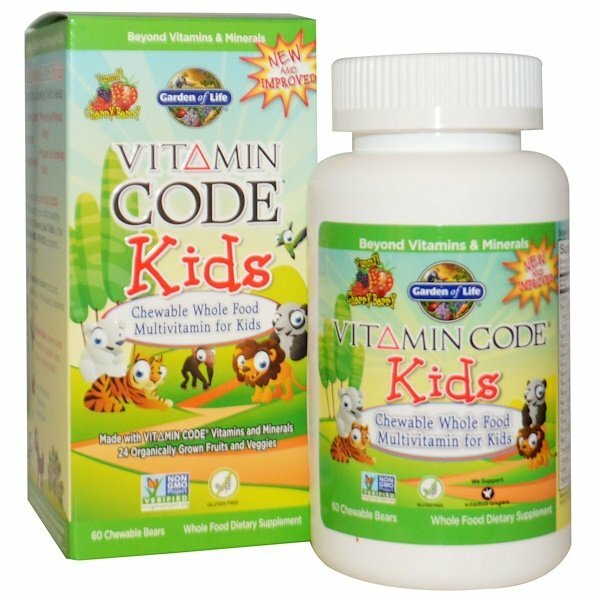 Vitamin Code Kids is a Non-GMO Verified children's multivitamin with whole food vitamins and minerals to support your active, growing child. Clean Tablet Technology Blend: Organic tapioca dextrose, organic gum arabic, organic sucanat cane sugar, organic erythritol, natural flavors, organic stevia (leaf), citric acid, organic coating (organic tapioca maltodextrin, organic sunflower lecithin, organic palm oil, organic guar gum).